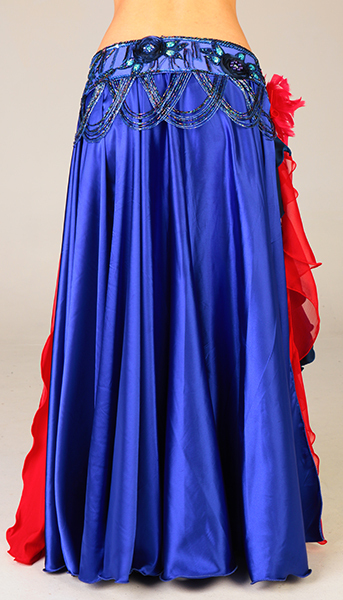 Includes: bra, belt, skirt, armbands with laces, necklace, half-circle chiffon veil. 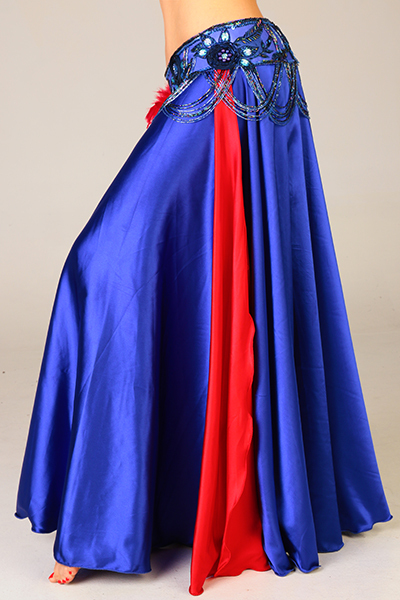 Fabric: periwinkle blue, dark blue and red satin-like fabric, red chiffon. Beading: blue, blue pearls, colored stones. Feathers are removable. Belt: one piece belt attached to the skirt. 38" from end to end. Skirt: full satin skirt opens on one hip, ruffles attached to the skirt. Length: 40"